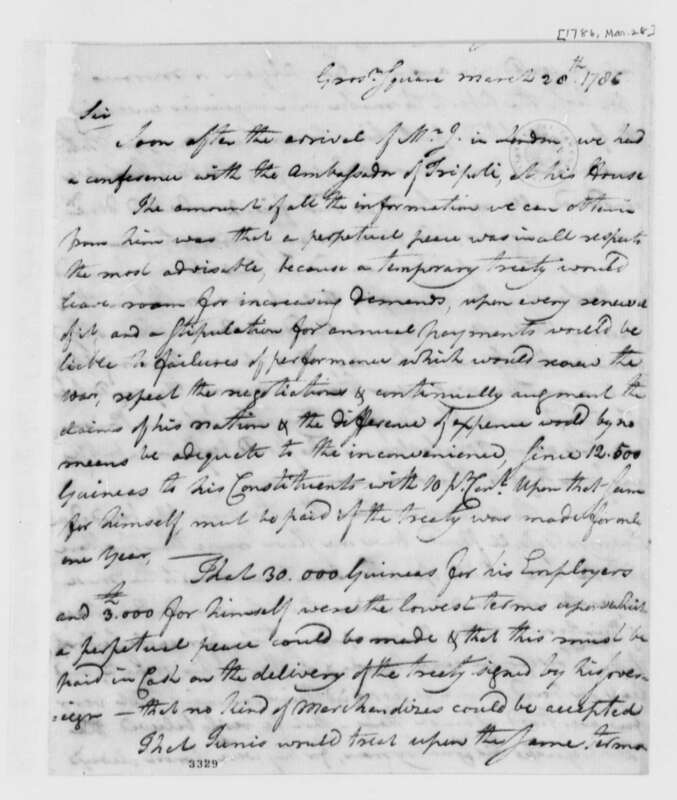 America's "paper of record" might be well served to spend some time reviewing actual records. A day after the Investigative Project on Terrorism published exclusive stories detailing the Hamas and Muslim Brotherhood ties at the Council on American-Islamic Relations (CAIR) from the moment of its birth, and the radical, pro-jihad views of a longtime national board member, the New York Times gave CAIR two free passes. First, it invited CAIR-San Francisco director Zahra Billoo to write a column lamenting an increase in anti-Muslim threats and attacks in recent weeks. IPT readers know that Billoo has a long record of radical statements, including accusing U.S. soldiers of engaging in terrorism in 2012. Last year, she compared the Israeli army to ISIS, and she heads the chapter which posted an infamous "wall of resistance" poster sowing fear and suspicion among Muslims against federal law enforcement. 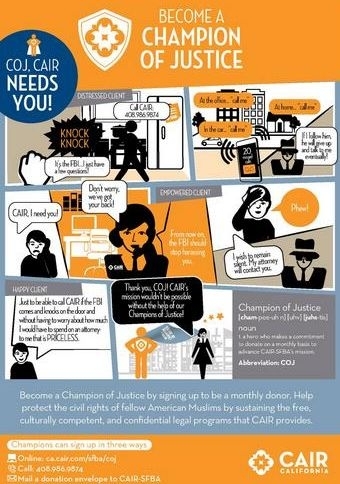 Last month, Billoo posted on her Twitter feed a toned-down, yet still dark image of a lurking FBI agent, calling on "Champions of Justice" not to talk with law enforcement without a CAIR lawyer. Crimes motivated by anti-Muslim bigotry, such as last week's firebombing of a Southern California mosque are despicable and should be prosecuted. The question here is the Times' judgment in selecting Billoo, out of the universe of Muslim Americans who can speak on the issue. According to Billoo, the anti-Muslim attacks are not connected to the San Bernardino shooting by two radicalized Muslims who pledged allegiance to ISIS before killing 14 innocent people – in fact, Billoo's column barely mentions the attack – rather, they are solely due to "dangerous anti-Muslim rhetoric from some politicians." Billoo is certain that rhetoric can lead to violence. That's an unusual position for a CAIR official, since the organization insists the attacks like San Bernardino, or Paris, have nothing to do with the terrorists' Islamist ideology. "Terrorism has no religion," CAIR repeated last month. If there's anything to blame, CAIR officials point to U.S. foreign policy. 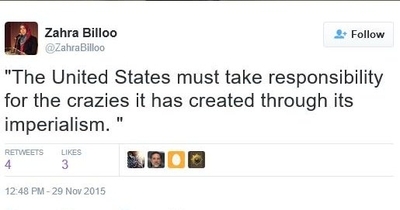 Billoo seemed to hint at that message in a Nov. 29 Twitter post, writing that America "must take responsibility for the crazies it has created through its imperialism." The Times was more justified quoting CAIR in a Tuesday morning news article, since presidential candidate Ben Carson called on the State Department to designate the Muslim Brotherhood as a terrorist group and called on the Justice Department to "fully investigate" CAIR as a Brotherhood offshoot. Simple fairness dictates giving CAIR a chance to respond. But it doesn't justify blindly accepting discredited CAIR propaganda, as the Times did. 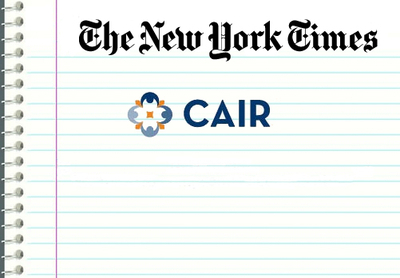 "CAIR maintains a section of its website dedicated to debunking claims that the group is a front for Hamas or a fund-raising arm of Hezbollah," the Times reported. "The group condemns violence and works to improve relations between Muslims and other communities in the United States." CAIR does have a page claiming to debunk its connections to the Muslim Brotherhood and Hamas, but the IPT found gaping holes and lies in the report. And CAIR's connections are not really matters of interpretation. They are established in internal documents the FBI took from members of the Hamas-support network. The FBI read those documents and promptly cut off communication with CAIR "until we can resolve whether there continues to be a connection between CAIR or its executives and HAMAS, the FBI does not view CAIR as an appropriate liaison partner." Here is a flow-chart the FBI created showing the network's components. The documents seized by the FBI were admitted into evidence in a Texas federal courtroom and available for the public, including the New York Times, to see for themselves. The presiding federal judge who saw the evidence determined there was "ample evidence to establish the" connection between CAIR, other Islamist groups, and Hamas. A Lexis search indicates that readers who depend solely on the New York Times have no way of knowing this. Worse still, Times readers were falsely told in 2014 that "[r]eferences to the group were officially expunged from the court records." That story remains uncorrected 16 months later. That failure means any Times reporter today who might check the newspaper's archives for background before writing about CAIR is being fed bad information. This bill needs to get passed ASAP Please include CAIR The administration has embraced these groups and they have infiltrated all levels of our government They've changed all enforcement training manuals to legitimize them,It is a travesty. I would call the everyone involved with legitimizing these 2 Groups and their endorsoin thei activities traitors. Support the "Muslim Brotherhood Terrorist Designation Act of 2015"
What is the difference between ISIS/ISIL/Islamic State/Islamic Caliphate/Daesh and the Muslim Brotherhood? They BOTH want a global caliphate, an Ummah ruled by Shariah/Islamic law however, the difference is between the time needed to reach it and the methods of doing so. The Muslim Brotherhood is slowly infiltrating us by what they term as their 1991 "Civilization-Jihad Process" plan and ISIS wants? They all want to form a GLOBAL Caliphate, an ummah and be ruled by Shariah/Islamic law. Our USELESS politicians at all levels of government ignore their Oath of Office, our national security and our Constitution Article I, Section 8, Clause 1 "provide for common defense" of this nation are replaced it with Cultural Marxism i.e. political correctness!